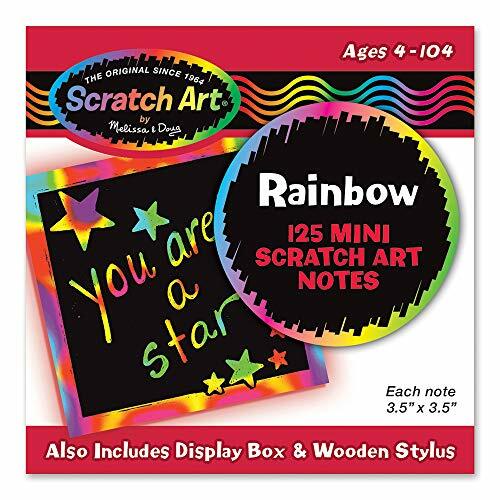 EASY TO USE WITH AMAZING RESULTS: The Melissa & Doug Scratch Art Box of Rainbow Mini Notes includes 125 easy-to-use rainbow mini notes which kids can use to jot down notes, etch doodles, and create cool illustrations and designs. 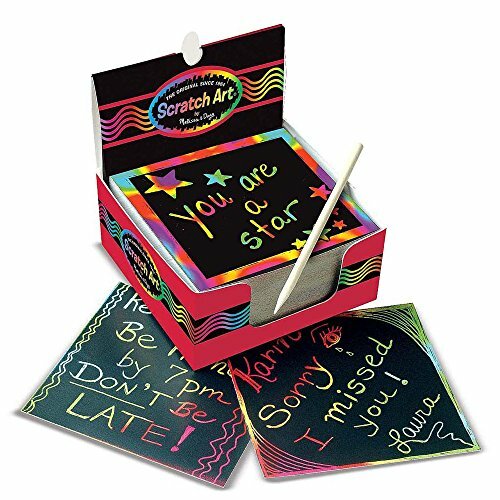 BRIGHTLY COLORED NOTEPAD: Our Scratch Art notes feature bright colors that hide beneath the matte coating. Kids simply use the included wooden stylus to reveal them with a simple scratch. 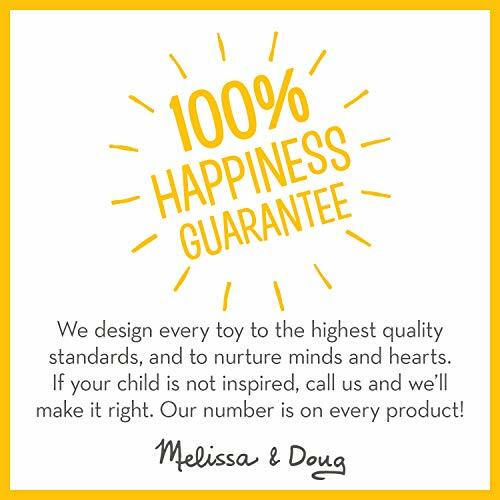 MULTIPLE USES: Kids can create cool illustrations, surprise people, label items, create arts and crafts projects, and express themselves freely. This box of notes is great for classrooms, holiday treats, gift baskets, or random acts of kindness. 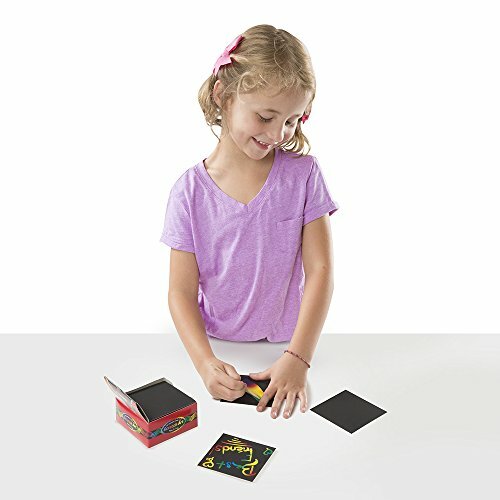 Creative children can jot notes, etch doodles, and make their very own exciting masterpieces with Mini Scratch Art Notes. Includes 125 Rainbow Mini Notes, a picket stylus, and a at hand “desktop dispenser” box to keep it all organized.